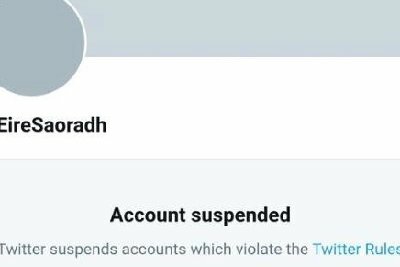 Twitter has suspended an account belonging to a group regarded as the political wing of the ‘New I.R.A.’ who claimed they had “accidentally” killed journalist, Lyra McKee, last week. 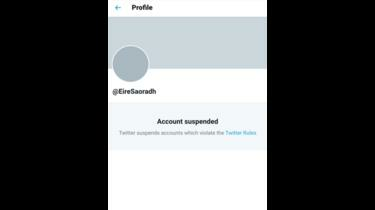 Saoradh published a statement from a group known as the ‘New I.R.A.’ last week in which they claimed responsibility for killing Ms. McKee while she reported on a riot in the Creggan estate. Ms. McKee, 29, had been reporting on social media about the riot when she was fatally injured when a masked gunman opened fire on an armoured P.S.N.I. vehicle. 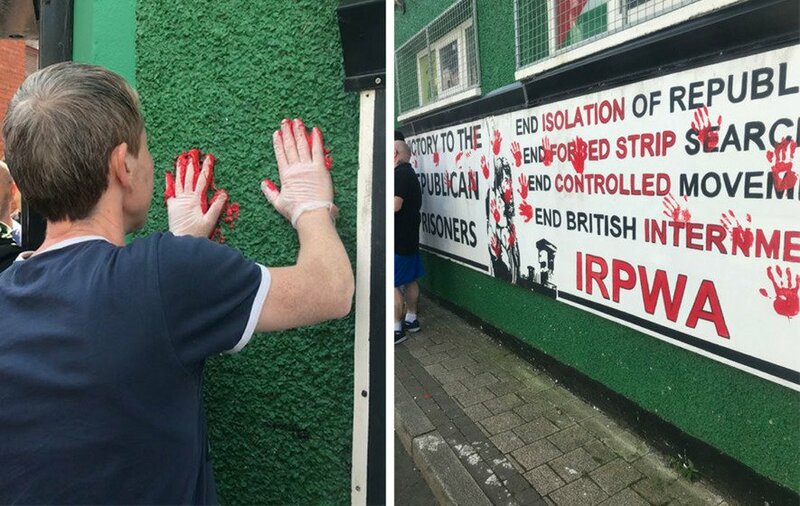 “A republican volunteer attempted to defend people from the PSNI/RUC,” the statement read on the Saoradh website last week. 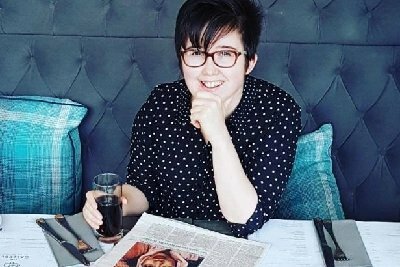 “Tragically a young journalist covering the events, Lyra McKee, was killed accidentally while standing behind armed Crown Force personnel and armoured vehicles. A group known as the ‘New I.R.A.’ claimed responsibility for the journalist’s killing and issued an apology to her family and friends on Tuesday. Ms. Kee’s funeral will take place in Belfast later on Wednesday. OFFICERS from the Paramilitary Crime Task Force arrested and charged four men aged 34, 34, 28 and 27 in relation to the supply of class B drugs yesterday, Tuesday, April 23. This follows three searches in the Kilcooley area of Bangor which were carried out as part of an operation focussed on the criminal activities of East Belfast UDA. A quantity of Class B drugs with an estimated street value of £2000 was discovered at one of the locations and a quantity of cash was also seized. Two of the men aged 34 and 27 were charged with being concerned in the supply of class B drugs. 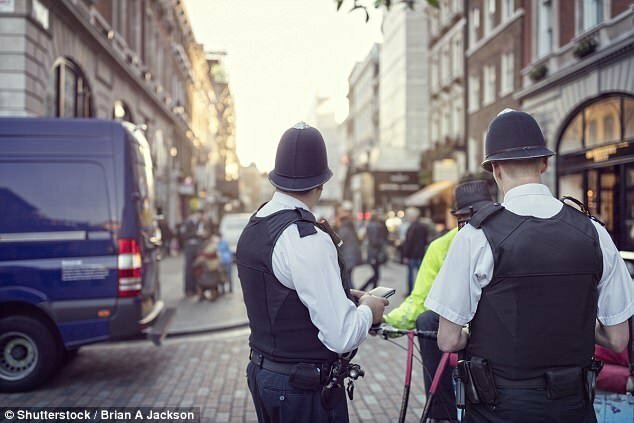 The other two men aged 34 and 28 were charged in relation to possession of a class B drug with intent to supply, possession of a class B drug and possession of criminal property. All of the men are due to appear at Newtownards Magistrates’ Court next month on Thursday, May 16. As is normal practice all charges will be reviewed by the PPS. 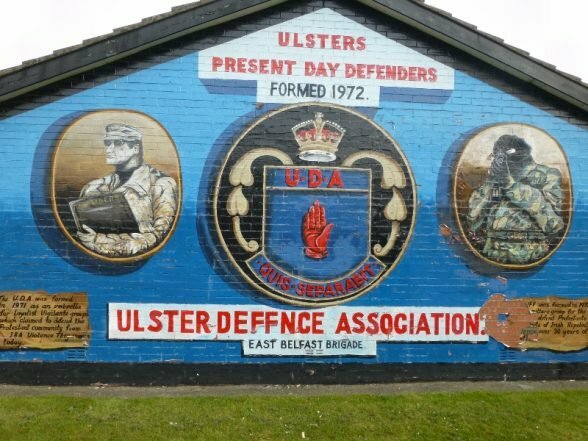 former leader of the Progressive Unionist Party (PUP) the political wing of the UVF, has said the paramilitary Ulster Volunteer Force “hasn’t gone anywhere”, despite decommissioning its weapons in 2009. Dawn Purvis said she had “taken people at their word” when the group announced it wanted to “leave the stage” in 2007. 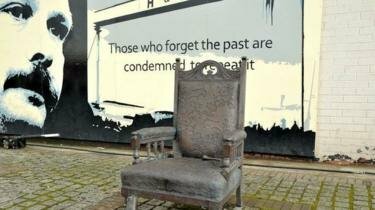 However, when UVF members were implicated in a murder in 2010, she said she felt “cheated”. The PUP has long been acknowledged as the political wing of the UVF. 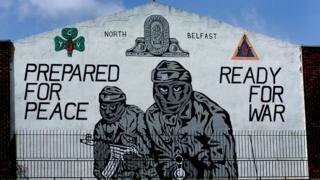 The UVF is a loyalist paramilitary group that was responsible for hundreds of murders during the Troubles in the North the Ireland. 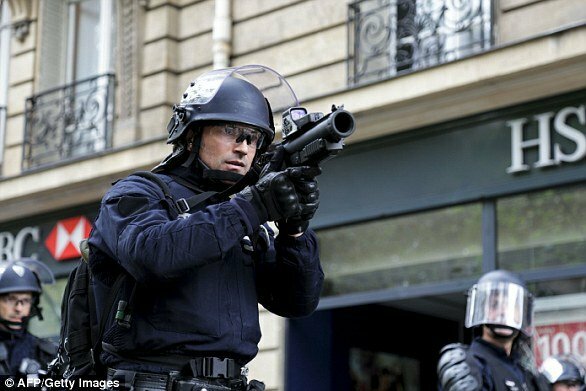 In some cases, its members continue to be heavily involved in violence and crime. 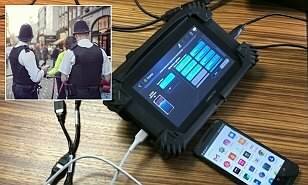 Last month, the PSNI (Police Service of Northern Ireland) said the UVF was “flooding the streets of Belfast” with drugs. The PUP played a prominent role in supporting the peace process of 1998. 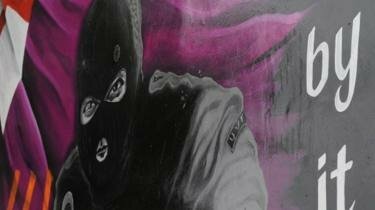 In 2018, loyalist paramilitary organisations said they fully support the rule of law and suggested any members involved in crime would be expelled. The joint statement was issued by the UVF, Ulster Defence Association (UDA) and the Red Hand Commando. It was the first time such a move had been made since the loyalist ceasefire in October 1994. Dawn Purvis was the first woman to lead the PUP. She held the post from 2007, following the death of her predecessor David Ervine, until 2010. Speaking to the BBC’s Talkback programme, she said was “gobsmacked” to learn that Mr Ervine had nominated her to replace him before he died. “My relationship with the UVF was different to the relationship that David had with the UVF and that was clear from the start,” she explained. “He had been a member of the UVF, he had served time as a UVF prisoner, and I was regarded as a woman with no paramilitary history or record – no prison record. “Therefore, what would I know? “They didn’t trust me, but I made it clear that the relationship I wanted, and the relationship I was there for, was to see through David Ervine’s project. In 2007, the organisation declared that it was renouncing violence. 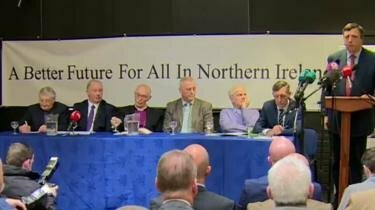 Ms Purvis added: “I truly believed in 2007, when David died and the UVF issued their endgame statement that we were heading in that direction. However, she said that all changed in 2010. The day after a friend’s wedding in Donegal, Dawn Purvis received a call from a journalist, telling her that Bobby Moffett, a loyalist, had been murdered on the Shankill Road in Belfast. 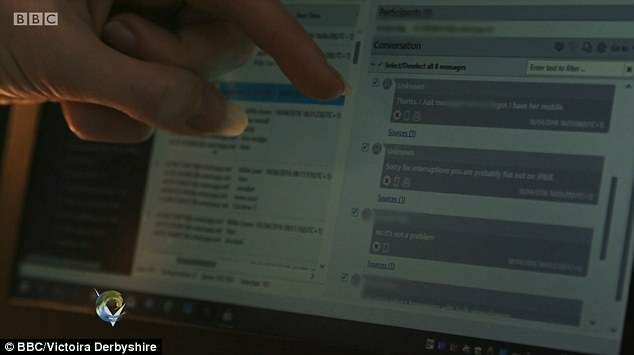 “I realised then that there were people who didn’t want to go away,” she told the BBC. “They never wanted to leave the stage. 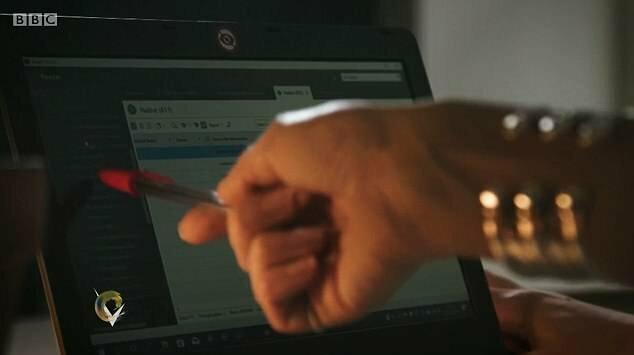 “I felt, having taken people at their word in 2007, that we were working towards this, we were going to achieve this – David Ervine’s project – but now it was not going to be deliverable. “Certainly not with me at the head of the PUP,” she said. 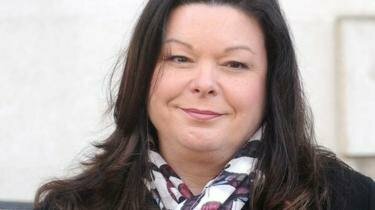 She resigned from the PUP leadership and left the party, remaining as an independent MLA until losing her seat in the 2011 election. It may have marked the end of Ms Purvis’ career in politics, but she continued to maintain a high public profile. From 2012 to 2015, she led the work of the Marie Stopes Clinic in Belfast during a time of intense public controversy around abortion laws in the North of Ireland. 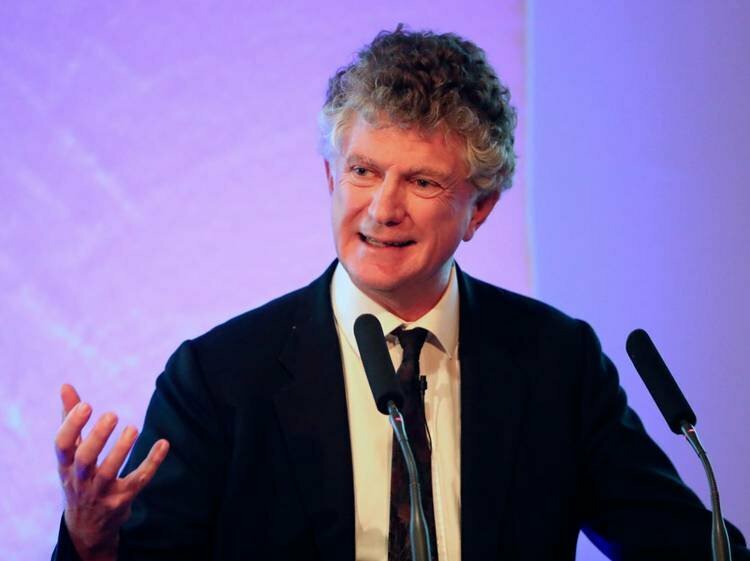 Ms Purvis is now the chief executive for a housing charity that is based outside Belfast. 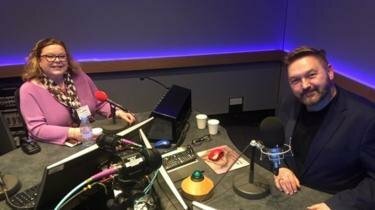 You can catch up with Dawn Purvis’ interview on BBC Radio Ulster’s Talkback on the BBC Sounds app. 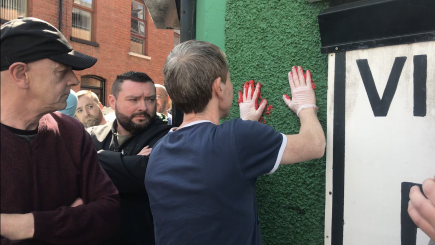 A number of Miss McKee’s friends walked to Junior McDaid House in Derry, where they used a pot of red paint to place handprints on the side of the office walls. The dissident republican New IRA is being blamed for shooting the young journalist in the head. The gunman was aiming at police during disturbances in the Creggan when he hit the 29-year-old on Thursday. Her killing has been widely condemned across the political spectrum. 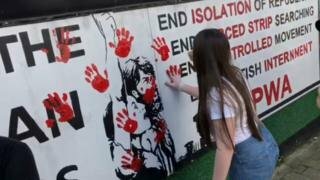 Lyra’s friend Sinead Quinn, who took part on Monday’s protest, said: “We have used red paint because they have blood on their hands for what has happened. “They have encouraged it, they have moulded these young people into what they are and they are standing behind them handing them guns. “They need to take responsibility today for what has happened. She added: “When you put a gun into someone’s hand and they shoot it, that’s murder. “Lyra deserves more and I am so glad there are so many people here today to see and watch these men looking at us. “They are not a representation of republican people in this town. “Those people don’t represent (republicanism). Nobody can advocate shooting into a crowd of people and shooting a 29-year-old woman dead. Another friend said: “We have had enough. There is a younger generation coming up in the town and they don’t need guns put in their hands. “They need jobs, they need a better health service and education. The group of friends have pledged to do more in Lyra’s memory. 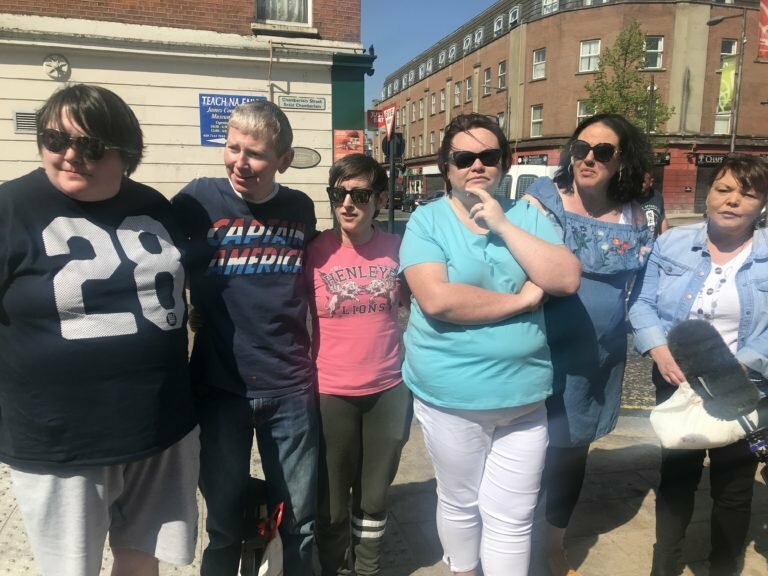 “Lyra’s McKee’s name will never be forgotten in this town,” Ms Quinn added. Local resident John Lindsay said: “We are using this as an opportunity to speak out against these people. “The whole town has told them they are not wanted here. “They have freedom to speak, they don’t have freedom for violence and they don’t have the right to carry out acts of violence. “There is mood change here, even hardline republicans are speaking out against them and saying they need to desist. 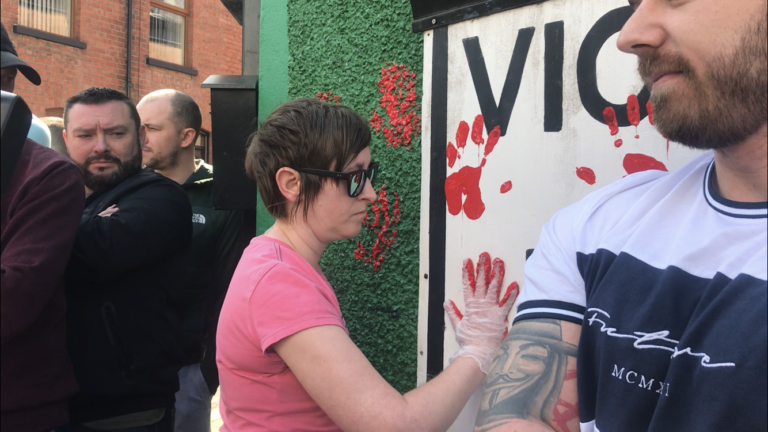 The protest comes as up to 200 members and supporters of Saoradh took part in an Easter Monday commemoration march in west Belfast. A similar march that was to be held in Derry on Monday was called off following the murder of Miss McKee. The group’s national chairman Brian Kenna called for the New IRA to apologise for the murder during a speech he delivered at Milltown Cemetery.